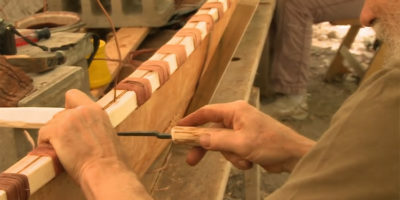 A short film by Trustin Timber that shows the construction of a Birch bark canoe. 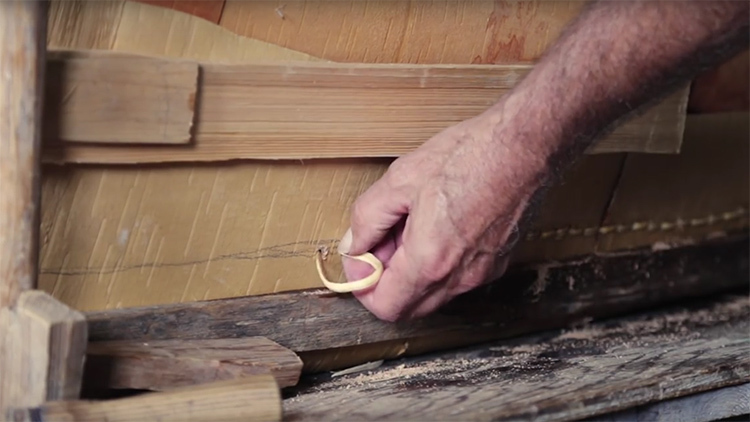 Made with 100% gathered forest materials, this film gives us a whistle-stop journey through the process of sourcing and preparing the timber, bark, cordage and tar that will eventually be skilfully crafted into a beautiful hand-made boat. The birch bark canoe was the principle means of water transportation for the Aboriginal peoples of The Eastern Woodlands and was later used by voyageurs to develop the fur trade that built Canada. A very beautiful canoe… would really apreciate to see more about this and other works.